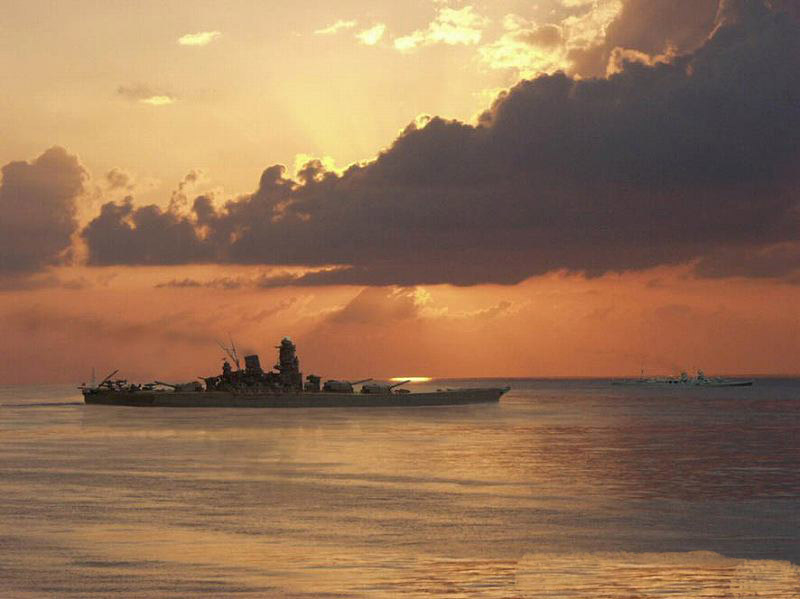 The IJN Yamato (大和), is one of the most famous ship of the WW2 Why ? 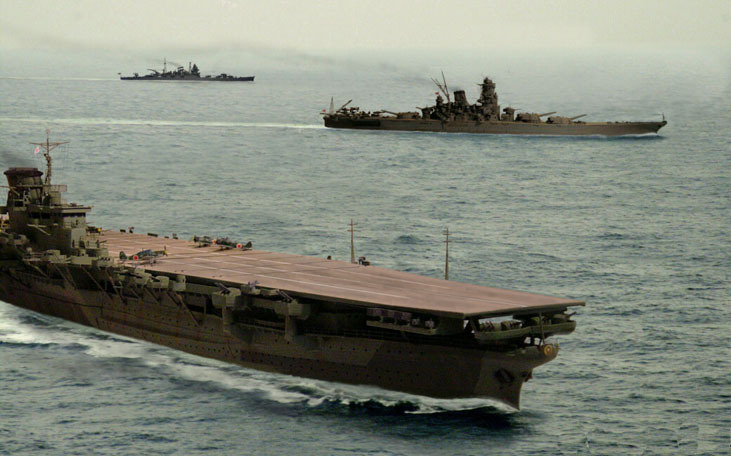 This plan respond to the American naval construction plan of August 1916, which called for "a fleet secondto none,"
the Japanese plan considered vital by the political power was called "8/8," approve the construction of eight battleships and eight battlecruisers. 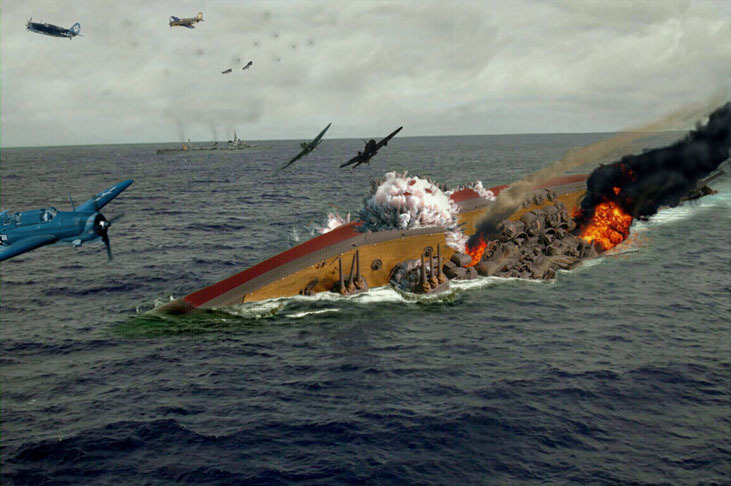 He would have a top speed of 30 knots, and a cruising range of 8,000 nautical miles (14,800 km) at a speed of 18 knots. 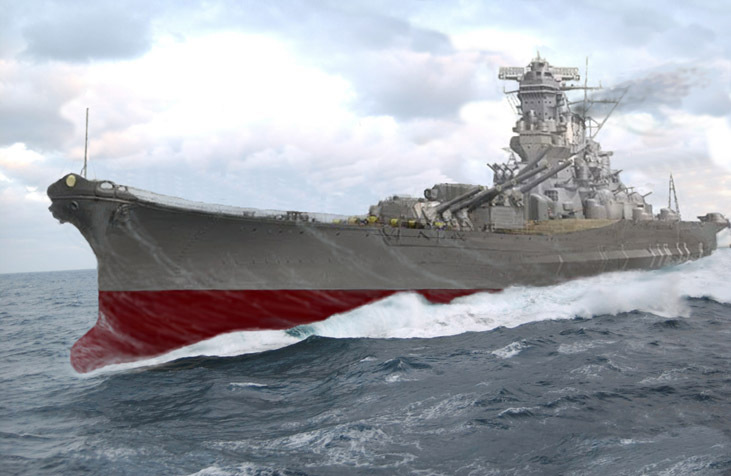 On 1946, Japan would then begin rearming the seven original YAMATO class ships with six 508 mm or 20-inch guns at the same time the four SUPER YAMATOS entered service. In all, 22 different preliminary designs were drawn up until October 1935, when Plan Nos. A-140F3 and A-140F4 were issued. Plan No. 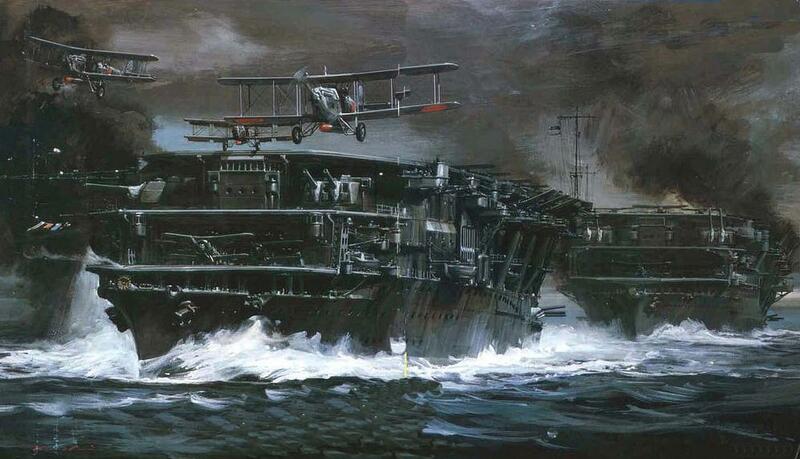 A-140F6 was finalized at the end of March 1937, and a construction order issued at the beginning of August to the Kure naval Arsenal, where a construction dock was deepened, and gantry crane capacity increased to 100 tons. Construction of both initial vessels of the class was extraordinarily secret. 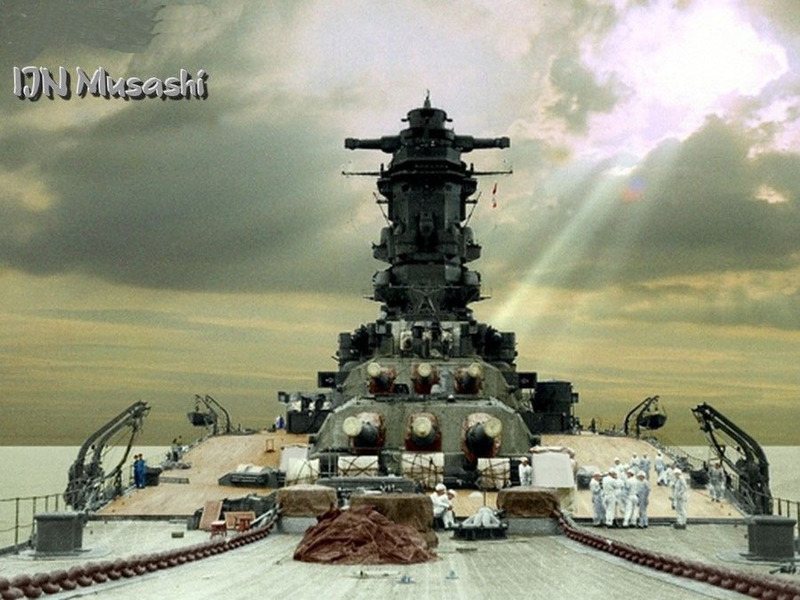 In the case of the Musashi, the entire construction-yard was roofed over to prevent observation of the ship before its completion. The designers submitted 21 proposals before one was accepted in July 1936. 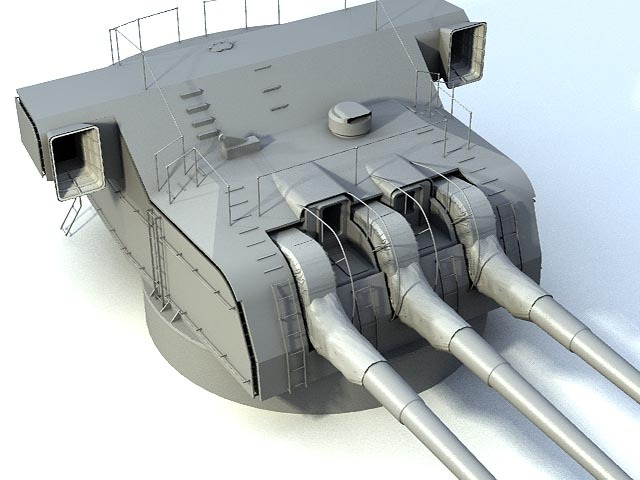 The winner design show is a 62,000 ton ship equipped with nine 460 mm or 18-inch, 12 155 mm or 6-inch, 12X 127mmAA or 5-inch AA, 24X 25mm AA, and 16 X13mm guns. 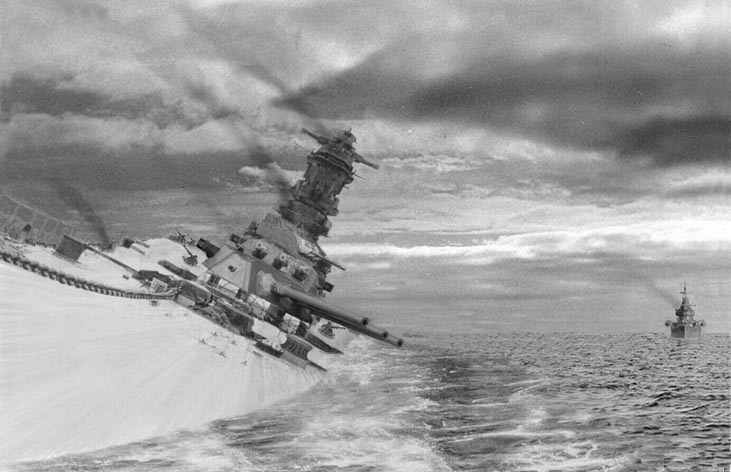 At first USA the position of the ship had initially been interpreted as an island because of its size. 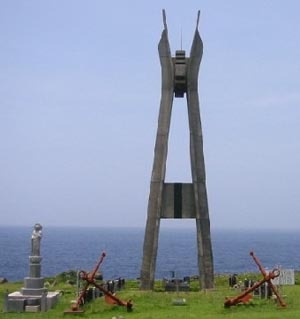 From 29 August 1942 to 8 May 1943, she spent all of her time at Truk. 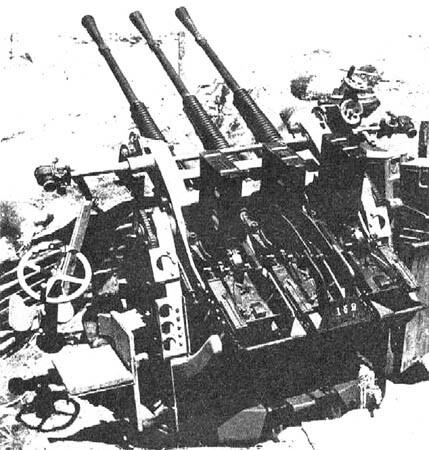 In May 1943, the two wing 155 mm turrets were removed and replaced by 25 mm MG, and Type-22 surface search Radar were added. He was damaged by a torpedo of the submarine USS Skate, and was not fully repaired until April 1944. During these repairs, AA protection was increases with additional 127 mm were installed in the place of the 155 mm turrets removed in May, and additional 25 mm AA guns were added. 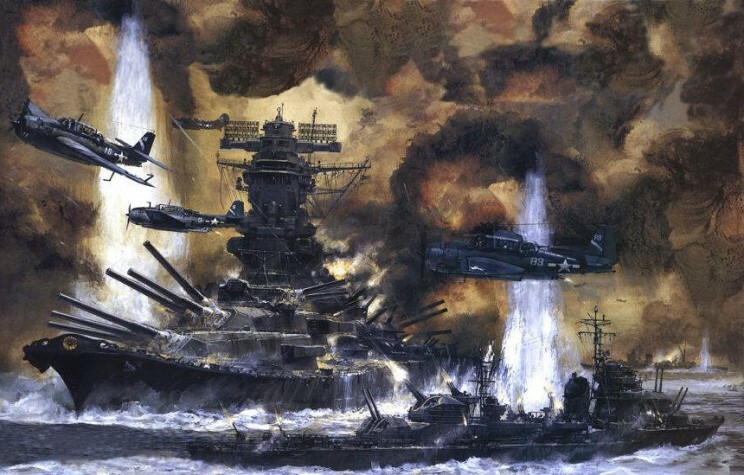 Yamato return in Japan on November where his anti-aircraft capability was again upgraded over the winter. 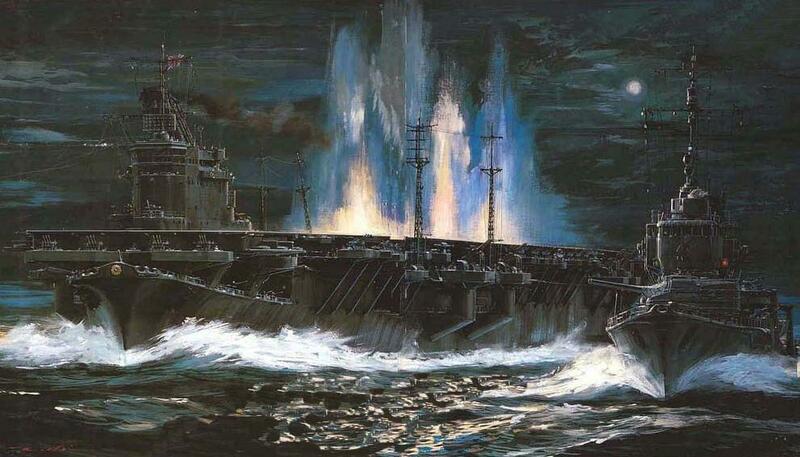 On march 19th 1945 he was attacked 5 by carrier aircraft from TF 58, but suffered little damage. 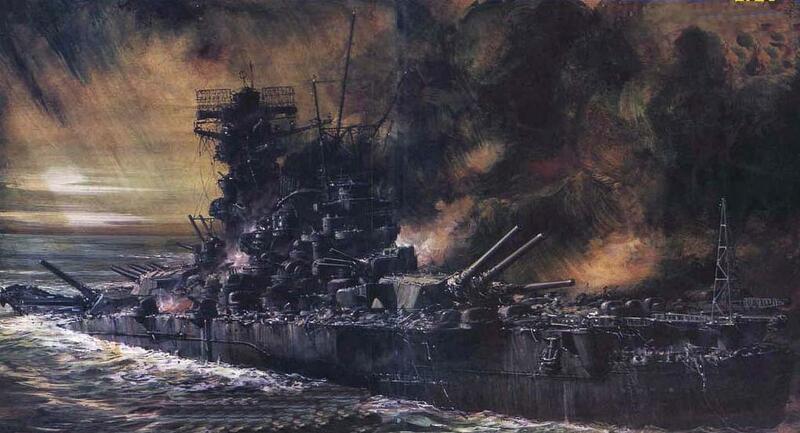 Thus IJN Yamato ended her career, as the ultimate kamikaze. 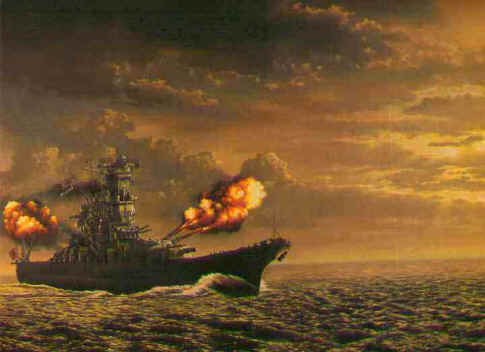 On April 6th 1945, he go with one light cruiser and nine destroyers attack the US invasion fleet around Okinawa After fighting her way through, he was to beach herself on Okinawa and become a fortress to aid the defenders against the American ground troops. 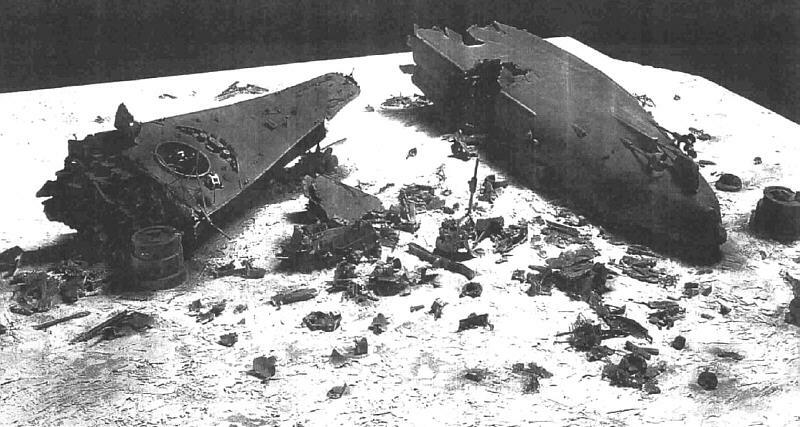 The next day, while still 270 miles north of Okinawa, the force was attacked by many aircraft from Task Force 58. 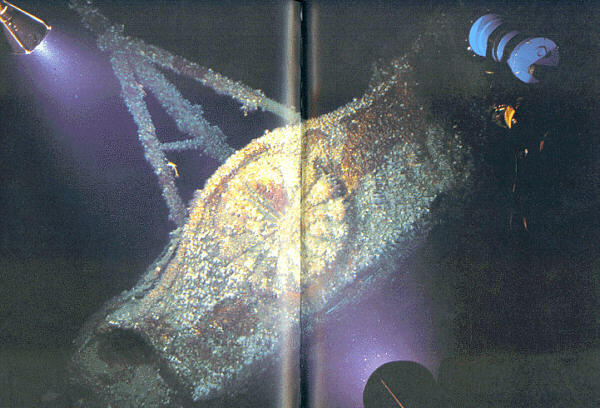 On August 1st 1985, a Japanese expedition using RESEARCH SUBMERSIBLE 2, located the wreck The ship was torn apart by a huge explosion forward of the aft 460mm turret asshe sank and the wreck is a tangled mess amidships. The fantail, with propellers, rudder and auxiliary rudder lies upside down in the mud. 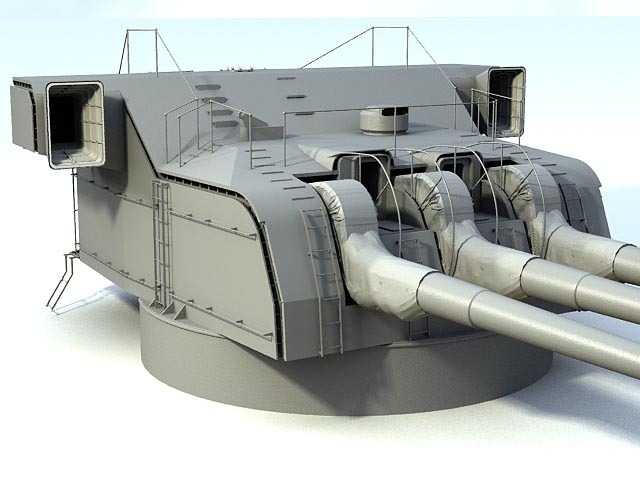 The forward hull, from the bow to the bridge area, lies on her starboard side, the number one 460mm gun barbette is empty andhalf-filled with mud. 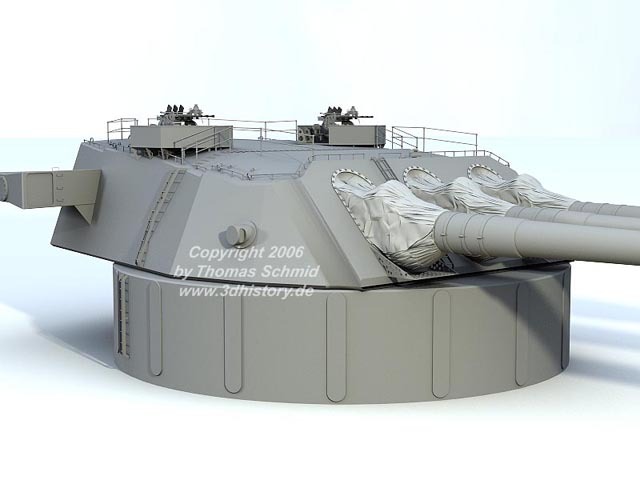 The number two 460 mm gun turret is still mounted and traversed about 120 degrees to starboard with the gun barrels buried in the mud. 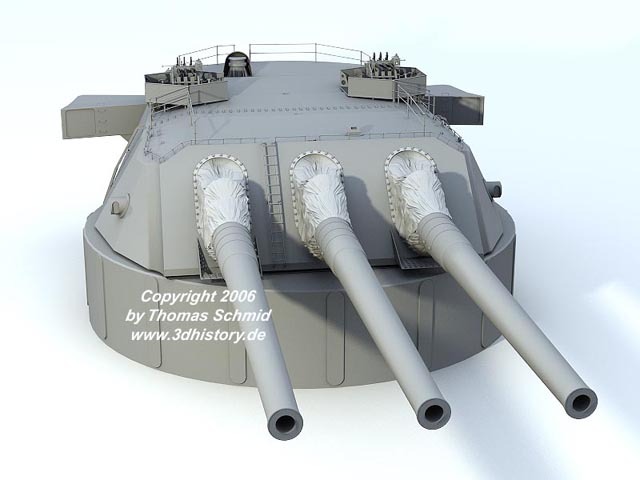 About 30 meters north of the main hull, lies an 460mm gun turret, upside down. 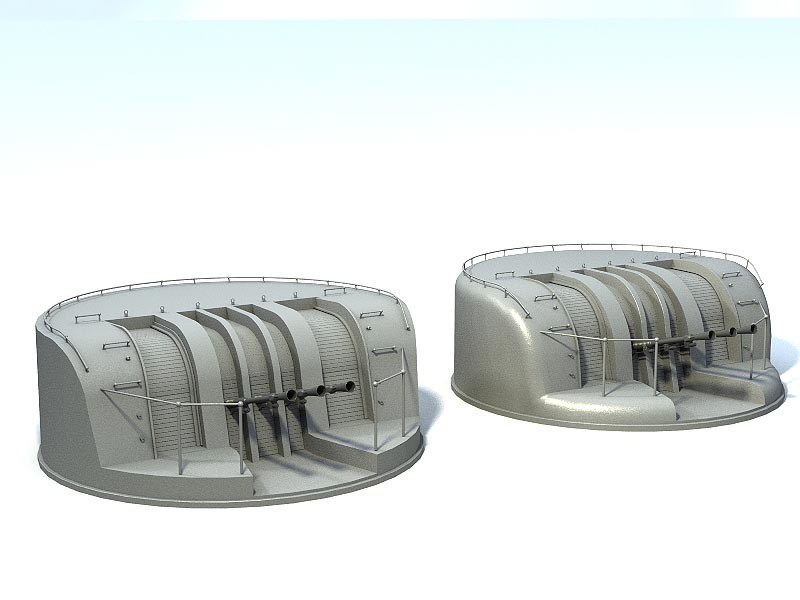 About 70 meters south of the main hull, is a large section of hull, also upside down. The entire structure is slowly sinking into the mud. 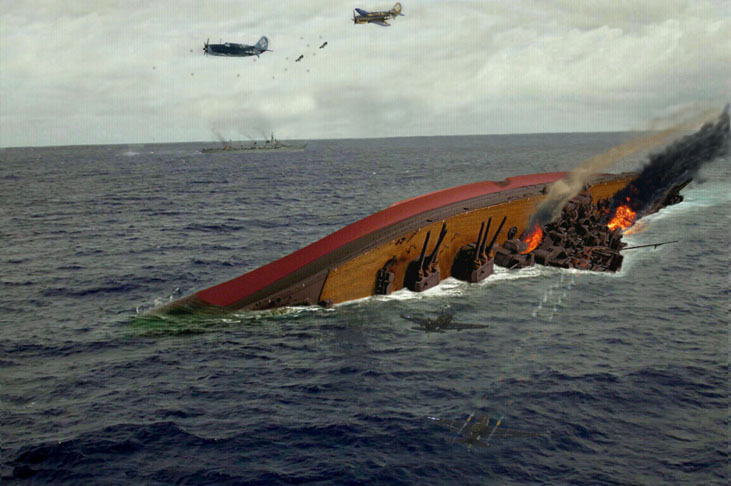 The Japanese plan no further expeditions and are respecting the wreck as a burial site for the 2,498 men that went down with her. 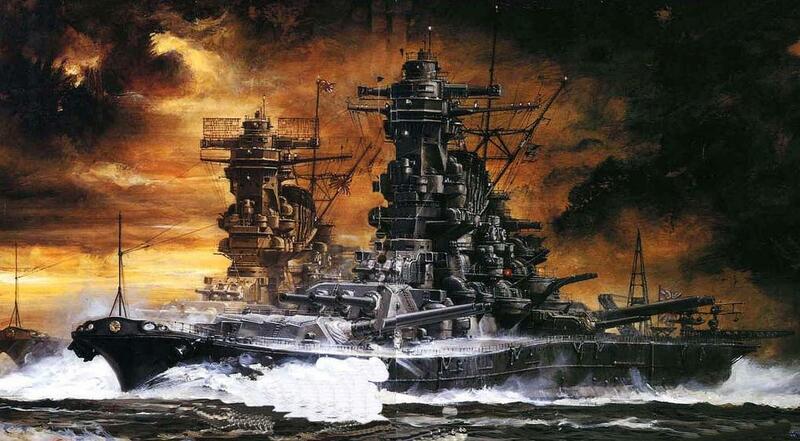 War Ship 798 and 799 were to be the first Super Yamato class battleships. 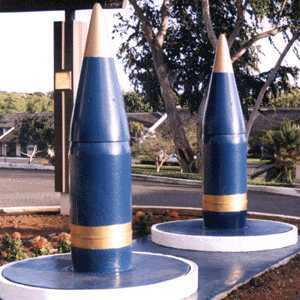 These were designed in 1941 with construction to begin the following year. The orders were never placed, so any specifications are rudimentary at best. 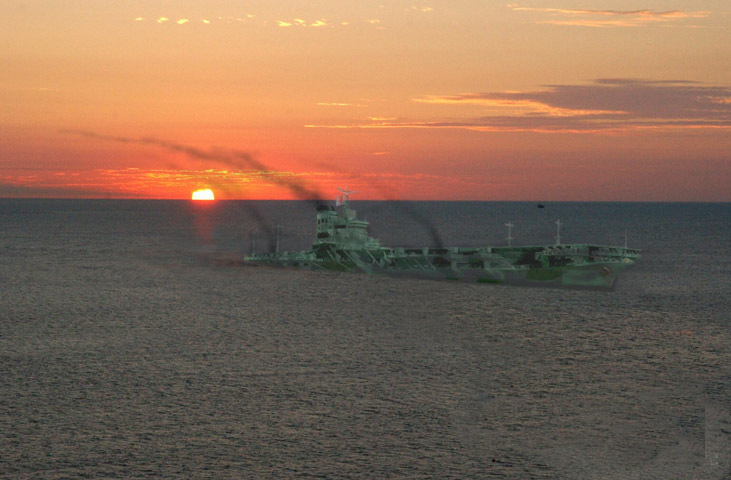 These ships were also referred to as design A-150.